We are passionate about reducing waste in the hospitality industry. Why you may ask? Here are the facts. We waste over 5 million tonnes of food ends up in landfill. We produce enough food to feed approx. 60 million people, yet two million people still rely on food relief every year. Food relief agencies are not able to meet demand. 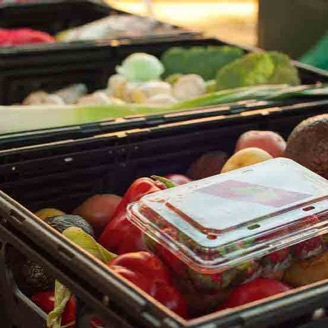 Nearly 90% of agencies reported not having enough food to meet total demand. Find out how waste management can save your business serious money. Menu assessment - assess then tweak your menu to ensure that you are using all possible off cuts in other dishes (e.g. Use veg and protein off cuts for stocks). Monitor preparation waste on a random basis to ensure staff understand that avoidable waste is not acceptable! Use professional ingredients which can often be stored longer, can be produced quickly and produce less waste than raw ingredients. Develop better forecasting for your ordering (ensure you look at history, events and seasonality). Use your specials menu to use up ingredients that are close to their use by date. Identify core ingredients on your menu and ensure they are incorporated into as many dishes as possible. 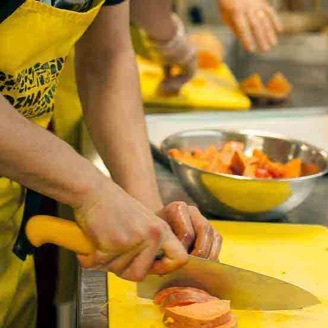 Train your staff on correct food stock rotation processes. If a guest orders fish and chips, how many grams of fish do you serve? 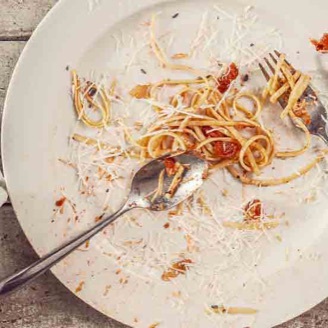 It's worth remembering that over-portioned meals often end up in the bin, not always in the guest's stomach! Accurate portion control is key to reducing waste and increasing profitability. Deliver optimal portion sizes. Ensure you have clear recipe cards for staff to correctly deliver optimal portion sizes. If you follow these top waste saving tips you will reduce the 'hidden costs' of waste and run a more profitable and efficient business. UFS offers a range of high quality, Chefs created products that will help you reduce waste. Ronni Kahn, the woman behind the organisation changing the way Australians interpret and manage food waste, has a story like none other. She started OzHarvest to remedy the violation of perfectly good food being thrown away and her mission to transform the way food waste is handled is now a global revolution. 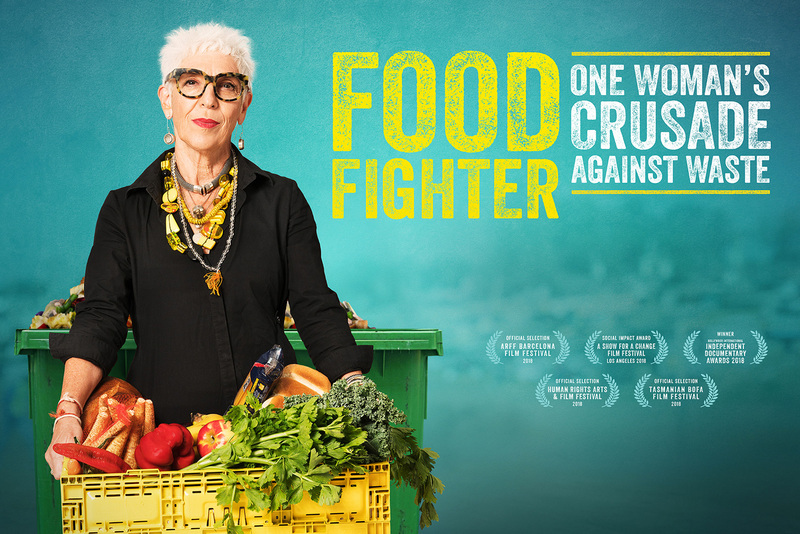 ‘Food Fighter’ chronicles her journey, its impact and why it’s far from over.